Right in the heart of the City of London is the century-old Stock Exchange Rifle Club. While the origins of the club were once linked to the Stock Exchange, membership is now open to all and the current membership is drawn from all walks of life. Anyone who wants to continue their target shooting sport, or who would like to find out what this Olympic sport is all about, can join the “Stock”. The majority either tend to live or work near central London and the “Square Mile”. The City range of the club is located in brand-new purpose-built premises beneath the southern footings of London Bridge, where we shoot every Tuesday and Thursday evening. The new range for shooting opened for shooting on 11 April 2013. 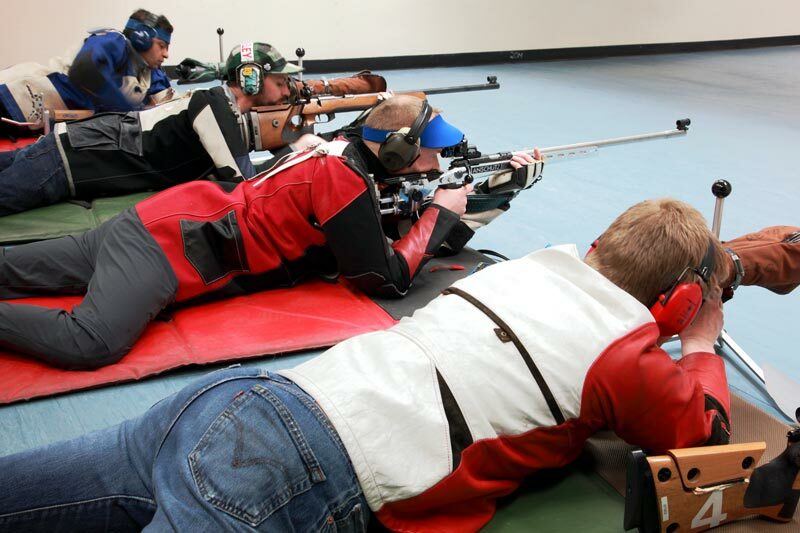 The Club is also very active in long range target rifle shooting using fullbore rifles and is based for this purpose at the National Shooting Centre, Bisley (some 40 minutes drive from SW London). The Stock Exchange Rifle Club is affiliated to the well-known London and Middlesex Rifle Association, which boasts some of the best facilities and services in the Bisley complex. The shooting club has a full range of all the equipment and firearms necessary to shoot to top standards in all the current shooting disciplines. Members are regularly selected to compete for their counties and countries.